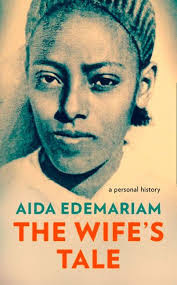 Family memoirs are a popular genre, and Aida Edemariam’s story of her grandmother, Yetemegnu, is particularly fascinating, partly through the manner of the telling. Edemariam is a senior writer on Britain’s Guardian newspaper, and her subtle and beautiful prose lifts what is already an extraordinary tale to another level. Yetemegnu was born in 1916 in Ethiopia, then an independent empire and remote from a modernising, and colonising, world. At the age of eight, she was married to a man – a poet-priest in the Ethiopian church - more than two decades her senior, something that was an obviously terrifying experience for a small child. To a 21st Century sensibility, his treatment of her, at first more as a strict parent than a husband and later as a domineering and occasionally brutal patriarch is horrific, but nonetheless it bred in her a fierce loyalty, even while she was growing to be a strong woman in her own right. Ethiopia in the last century was a catastrophic place to be. Initially, Yetemegnu’s husband Tsega was successful, rising through the ranks of the priesthood while the family grew. He was well connected, attending the coronation of Haile Selassie, but he had enemies. And then came the Italian occupation and the emperor’s exile, with the country becoming a battleground between Italy and Britain during the Second World War. With Haile Selassie’s return, Tsega was made a judge, but as the country descended into chaos and civil strife, he was arrested and imprisoned. Edemarian describes her grandmother’s dauntless struggle to get justice for her husband while encouraging her growing brood of children to grab the opportunities for modern education that were beginning to be offered. When her eldest son, studying to be a doctor in Canada, met and married a Canadian, she welcomed her new, foreign, daughter-in-law. She coped with the revolution, the nationalisation of land which saw her income slashed, the civil war and devastating famine of the 1980s. Illiterate, she learned to read in late middle age. As the blurb puts it, an indomitable woman indeed.